The Jets will take an extended squad to New Zealand later this week to cover for the Olyroos players, in case they aren’t fit to play against Wellington on Saturday. Someone who won’t be travelling with the squad – Ronny Vargas. “His hamstring isn’t going to be ready. I put him in a bit too early. It was my decision to bring him in early against the Mariners but then we needed to do it because we needed to change. 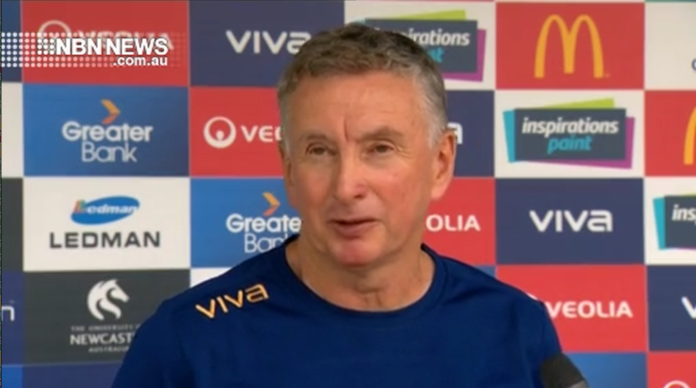 We knew that it might make his injury a little bit worse but he had two weeks to recover from that as it turns out he hasn’t recovered,” said coach Ernie Merrick.